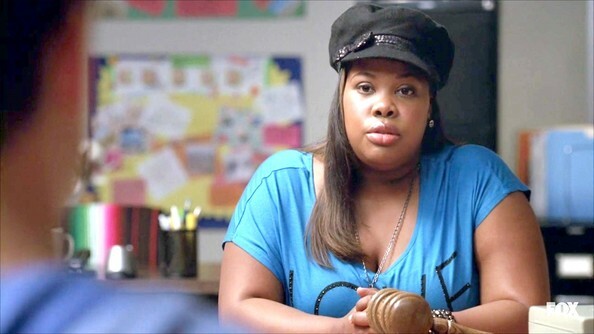 Glee – Season 3, Episode 14 – As the New Directions gear up for sectionals, Sebastian (Grant Gustin) tries to undermine their win. Karofsky (Daniel Roebuck) makes a terrible decision and Sue (Jane Lynch) proves she really can do anything. This stylized newsboy cap sure adds a dose of personality to Amber's outfit.